This post is sponsored by Savings.com. All opinions are 100% my own. 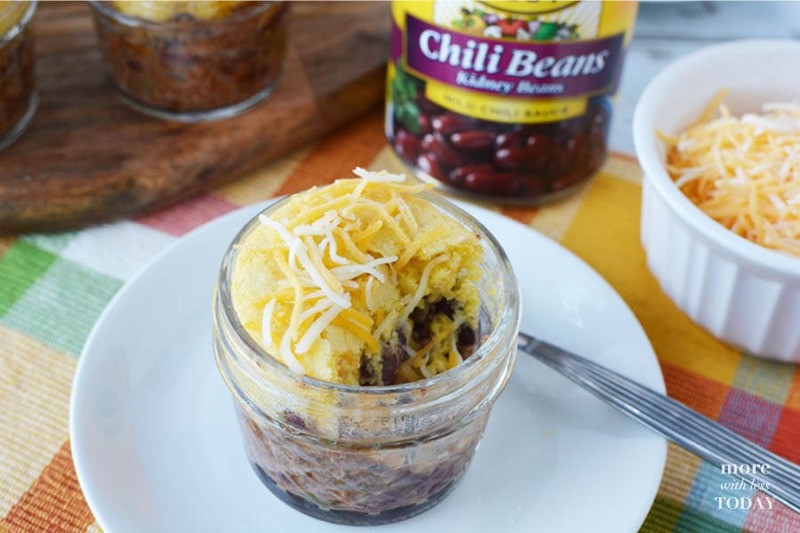 Today I am sharing my Cornbread Topped Chili in a Jar recipe which is the perfect comfort food for your family plus it is a great party food option because everyone goes crazy for the little jars. It is one of those fun recipe ideas that looks fancy but is actually very easy and takes a meal from ordinary to extra special. 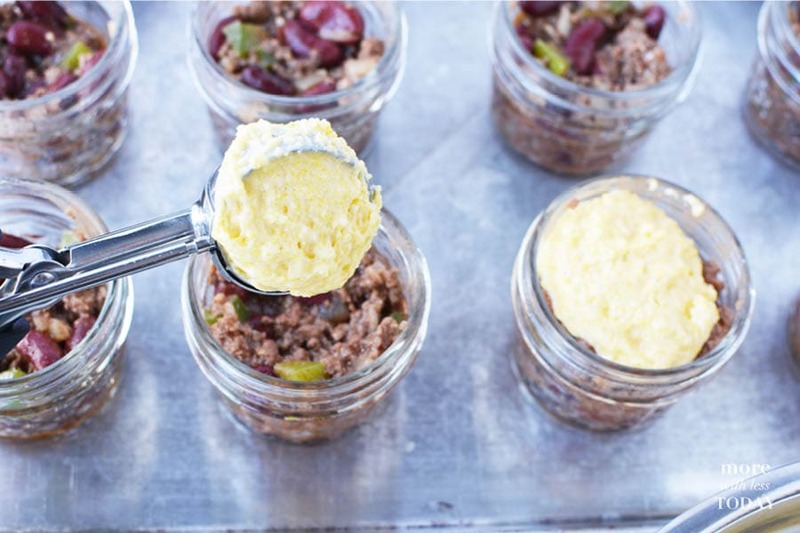 The Cornbread Topped Chili in a Jar recipe is delicious, filling, and very budget-friendly. 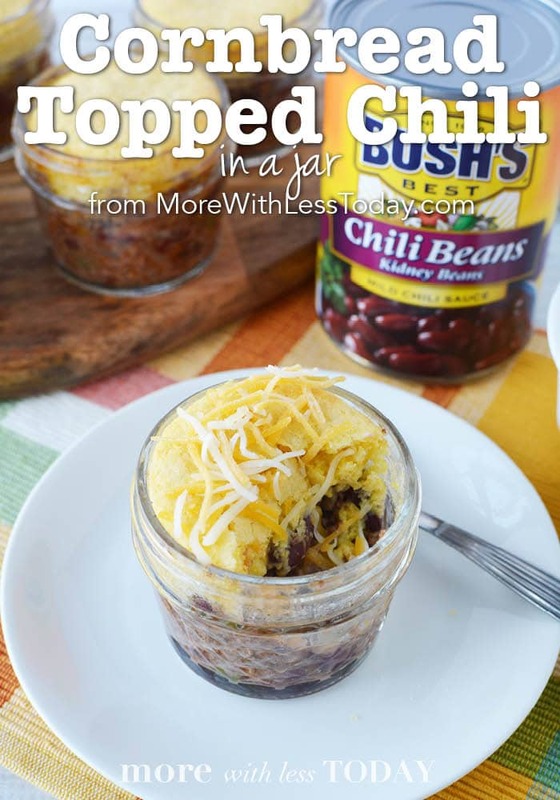 BUSH’S® Chili Beans will make the best chili every time! 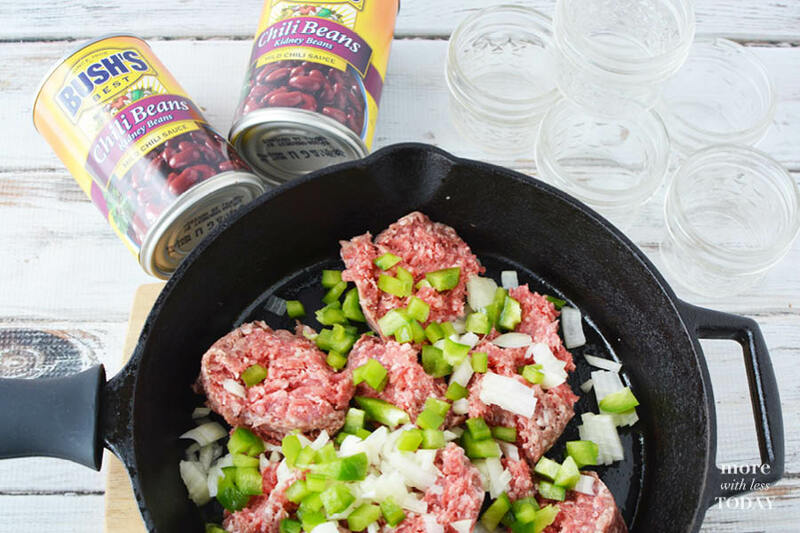 The beans are already simmered in their original chili sauces which are made with a special blend of chilis, spices, garlic, and onions and will make your chili recipes great every time. 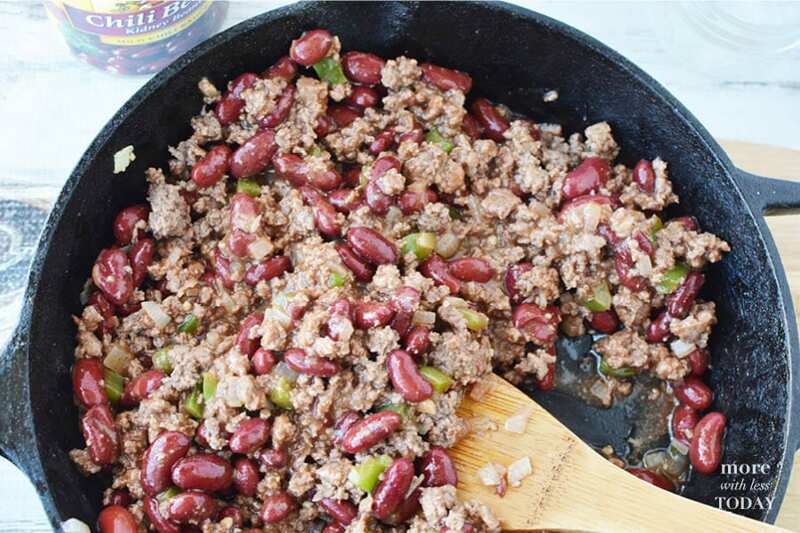 BUSH’S® Chili Beans start with the highest quality beans for flavor you can count on. They a give your chili a cooked-all-day flavor right out of the can. Add beef, onion, green pepper and garlic to a large skillet and heat until beef is brown. Season with salt, pepper and cayenne pepper (if using) and mix well. Stir in chili beans and mix well Cook for 2 or 3 minutes or until heated through. Use a 3 tablespoon portion scoop to scoop into small, 4 oz, mason jars and gently press the mixture down. Place jars onto a baking sheet. 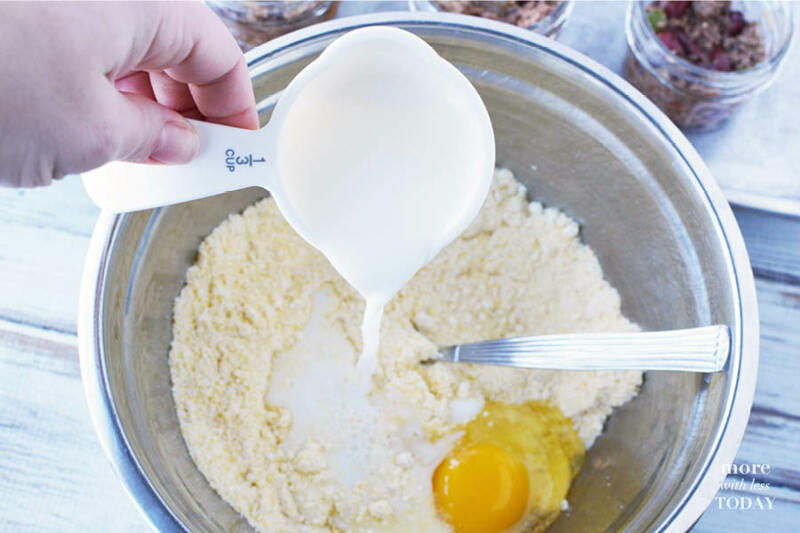 In a small mixing bowl, add corn muffin mix, egg, and milk. Mix by hand (mixture will be lumpy) and let it sit for 2 minutes. Use a 2 tablespoon size portion scoop to place muffin batter on the top of each jar. Place into the oven. Bake for 12-15 minutes at 400 degrees or until muffin on top begins to brown. Remove from oven and serve topped with shredded cheese. Be very careful taking the jars out of the oven. They will be hot so use oven mitts and care. 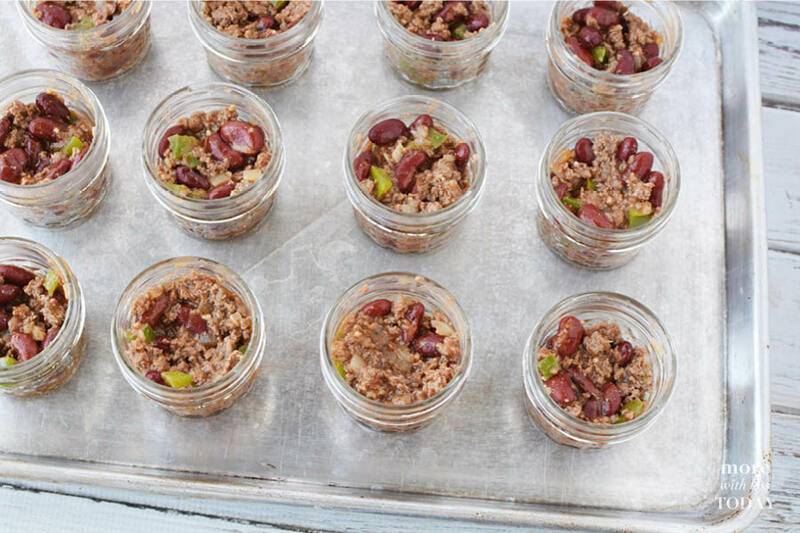 Preheat oven to 400 and line a baking sheet with 12, small (4 oz) size mason jars. Set aside. Stir in beans and mix well, heating 3 minutes. Use a 3 tablespoon portion scoop to fill each jar and gently press the mixture down into the jars. In a small mixing bowl, add corn muffin mix, egg and milk. Mix by hand (mixture will be lumpy) and let set 2 minutes. 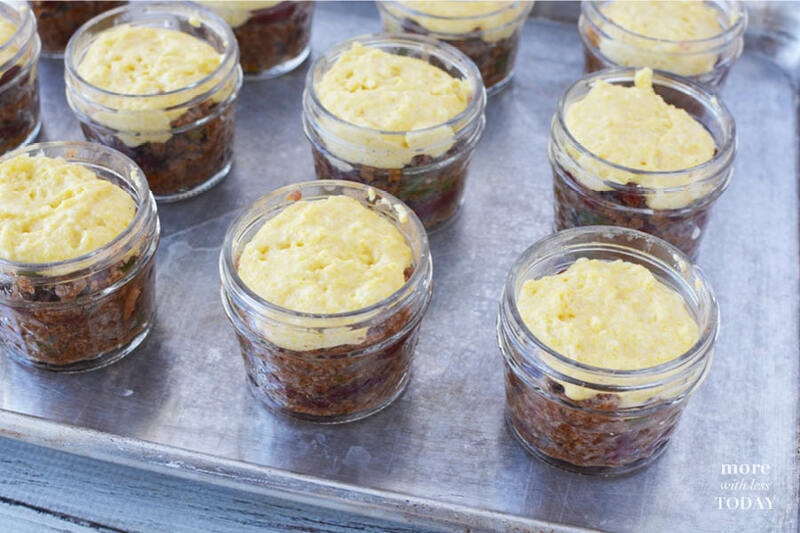 Use a 2 tablespoon size portion scoop to scoop muffin batter on the top of each jar. Bake for 12-15 minutes or until muffin on top begins to brown. Remove from oven and serve topped with shredded cheese. 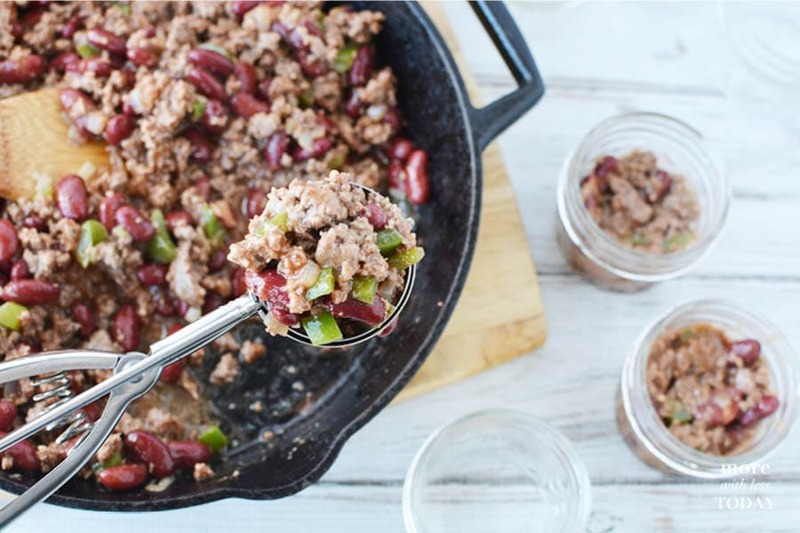 Enjoy more delicious Chili recipes from the BUSH’s website. 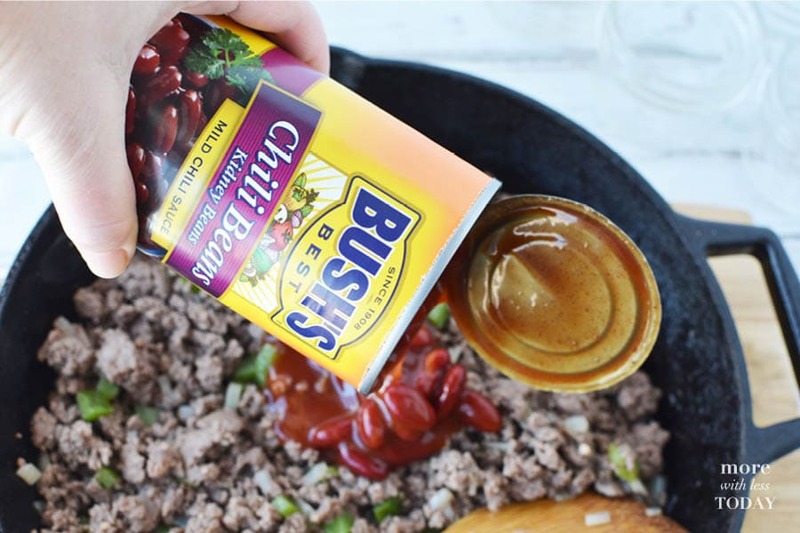 If you love to shop online at Walmart and use grocery pickup or shipping, find BUSH’S Beans here.